2010年的特製桌曆印好囉! 這是我們第三年特製桌曆 (2008, 2009) 送給客戶, 朋友和大力支持我們的樁腳, 略表感謝. 今年的攝影主題以Glacier National Park為主, 外加幾張食物和房子的照片. 從2006年房地產市場開始衰退, 當別的Real Estate Agents紛紛離場轉行, 而我們卻選擇這時候轉戰房地產, 能夠越戰越勇, 一年比一年好, 都要感謝所有在最困難的階段支持鼓勵我們的人, 常見落井下石, 但能雪中送碳實屬不易, 我們忠心感謝. 要在百忙中維持部落格運作正常, 靠的還是你的留言, 能夠和各位分享生活中的所見所聞, 交換心得和經驗, 是人生一大樂事, 所以我將提供五份桌曆給最先留言的朋友 (限美加地區), 略表感激之意 (這大概也是唯一一個方式會讓潛水讀者浮上水面啦). I love reading your blog whenever I have time. I especially love the Chinese articles that you shared with your readers. 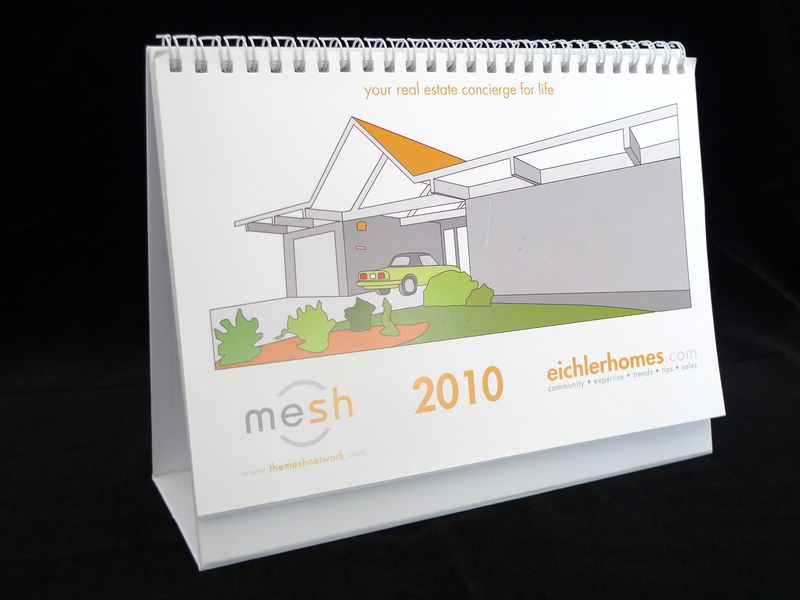 It would be my pleasure to receive the 2010 Eichler Homes calendar. I will send you my full name and address shortly. Merry Christmas and Happy New Year to you & Mark! I’ve been your loyal reader for years. I got your calendar 2009 on my desk where I can spot it immediately. 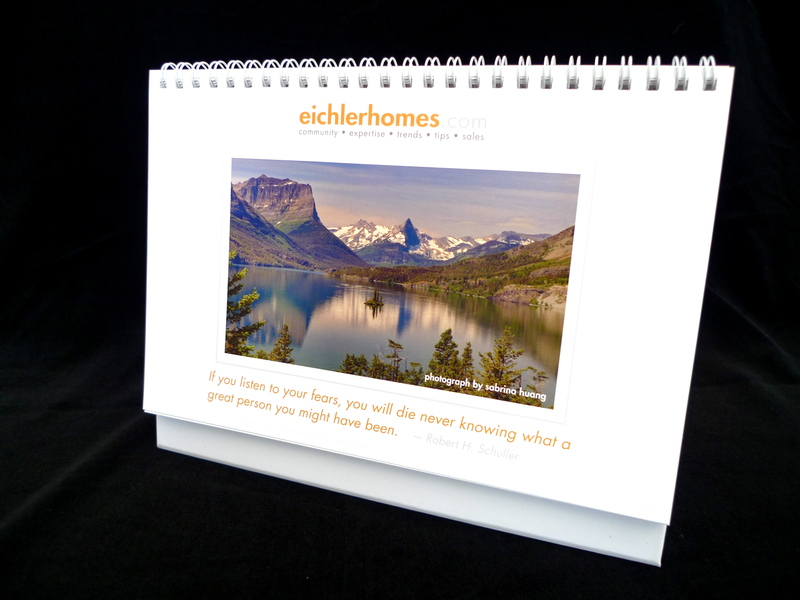 Thank you again for sharing the calendar 2010 and wish you a prosperous year coming ahead. 不知可否用買的? 郵費我自付. 請你 email 告訴我你的決定. I noticed your blog a couple years ago, since then I have been a loyal reader. I admire your devotion to search your passion continuously. Wish you have a good development in the Photography profession. This is my first time to leave message, not for gainning free calendar, but curious about which company you work with to print your calendar. Could you kindly provide suggestions about printing calendars? I like the good quality of your calendar. And wish you a happy hoildays!